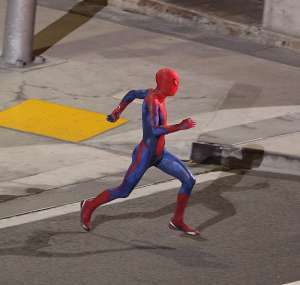 Home / SpiderMan / Who Else Thinks the Spider-Man Reboot Costume is Craptacular? Who Else Thinks the Spider-Man Reboot Costume is Craptacular? What we've seen so far the next Spider-Man film costume is pretty bad. Here's an analysis of what it looks like. We don't see the mask here, but it looks like some kind of rubber or latex. It's textured and has the iconic Spider-Man logo on the chest. Its pretty torn up, but looks a lot like the comic book. 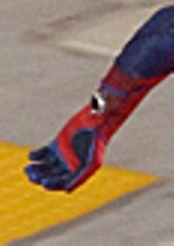 The red-blue color scheme is the same and has the webbing pattern across the red portions. So far, underwhelming, but traditional. There's something different about the sleeves though. Let's look deeper. This unofficial set picture shows a full body view. Here's where we get to the changes. 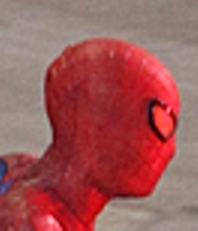 We can also see the sides of the costume and notice a lot of strange lines intersecting the costume. There's that line going from the belt to the boots and blue stripes cutting across the sleeves. The mask is on and has red disks over the eyes. This is a major departure from the comic and looks weird. It's possible that its going to be replaced post-production, but not likely. What's been covered before is that Spider-Man has returned to the mechanical web-shooters. That's good, but what that disk is defies explanation. The traditional shooters are wrist mounted with a nozzle in the palm. Maybe this is his watch. It's rare to completely replicate a superhero costume from the comics. Usually the physics is off. But I think this one is going to go into the list of the worst comic book-to-film costume adaptations of all time. How do you feel about the new Spider-Man costume? Yeah, looks pretty iffy. I don't know why they're even re-doing the movies. The directing wasn't absolutely awful, and Toby M was okay. It's done. I'm pretty sure the red eyes are caused by some sort of red lighting since it's really shiny and blurred. @Writer They're doing the remake basically because of change in major staff, particularly Toby and the director. Nevertheless, I have to cut this decision-making some slack til I see the movie. 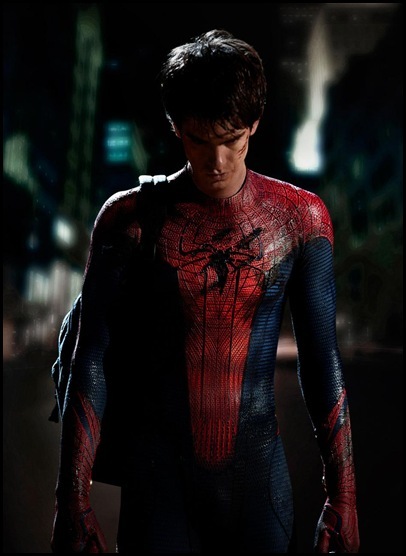 In the meantime, I'll watch other movies online via free streaming to distract my Spiderman fixation.